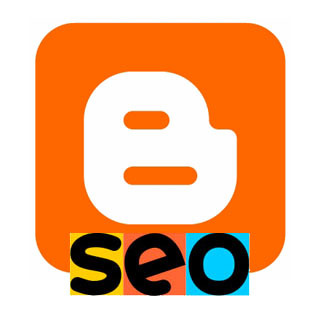 Blog or Blogging Using Seo With Results. Who would have guessed, right? 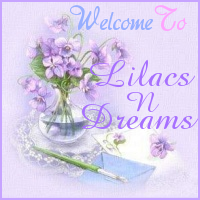 Hi, and Welcome to LilacsNDreams everyone! Glad to have you with us all here today. 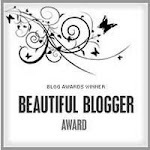 I have started my 1st post with my Blog about Blogging for Business Pleasure or Both. Today I want to try to cover using some of the Seo techniques in your Blogs, and how it can help too. I am going to cover a little bit today, and in my next posting I will cover a little bit more about Seo with Blogging too. When we Blog whether it is for business, projects, organizations, companies we work for, etc we need to remember to work with our Seo. I try to do it all the time myself. A good reminder is to start your Blog post with your post title. Make sure you have some keywords in the title. Also, remember that the search engines will give just a little bit more weight to the 1st 3 to 4 words. It helps to use keyword phrases through the body of your post. You should really try to do this right away, and try to use it a couple of more times in your post too. It is good to use links suitable for the pages in your Blog. Link the name to a page with a site where you can maybe buy an item from that you are selling. It is good to link your keywords. Don't forget to also anchor text too. Here are a few examples to help you. Ecrater is one of my stores, and maybe use the word vintage in a sentence. While doing that I could also note that I like to repurpose items, and I enjoy upcycling pieces too. Not so hard, and works great in sentences. An important reminder is to not over due it either. If you over load with the keywords, and links Google will frown on it. They see it as bad, and they will not allow you into the searches either. I would like to note that you should also work on your inbound links too. Those are links that come from other web pages into your Blog. Preferably these inbound links are from other pages that share with the same things you do, are involved with the same topics that you discuss, and you know...that sort of thing. This will also have more weight with searches too. In conclusion, things that you should work with in Blogging, and to help your rankings and searches are to perform keyword analysis to help you know which keywords that will drive traffic to your site. Sometimes referring to your Blog as a Site, or Website is acceptable by many too. Remember to also put those keywords in your titles, within the content, and use them throughout your post too. Just don't over load the keywords so that Google has no reason to frown upon you. Hey, I hope that this little tid bit was once again helpful to you bloggers out there. Keep in mind what is shared here pertains to Blogs, Blogging, but can also be used in other ways with your sale listings, and so on too. 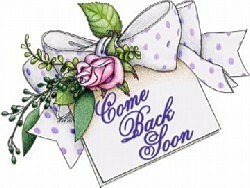 Thanks for stopping by LilacsNDreams again. Hope you enjoyed the visit, and look forward to seeing you again soon. Take care everyone, and have a wonderful day! I found you through your link from following my blog. I'm your newest follower. It's so nice to meet you. Yesterday I just opened up a new scented oil from Bath and Body Works to put in my little burner . . . it was a scent called Lilac Blossom. It was wonderful! Thanks so much for visiting with Me today Julie! :) Glad you hopped on over, and gave me a follow. Hmmm....the sweet smell of lilacs, how nice that is! Gotta love Bath and Body Works...have a wonderful day! How are you Today Visit your Web Blog Page Got more Information you share Best Information my pray with you and Your Business get more success and Blessings in The name of LORD.